Other Products by Herbs Of Gold. 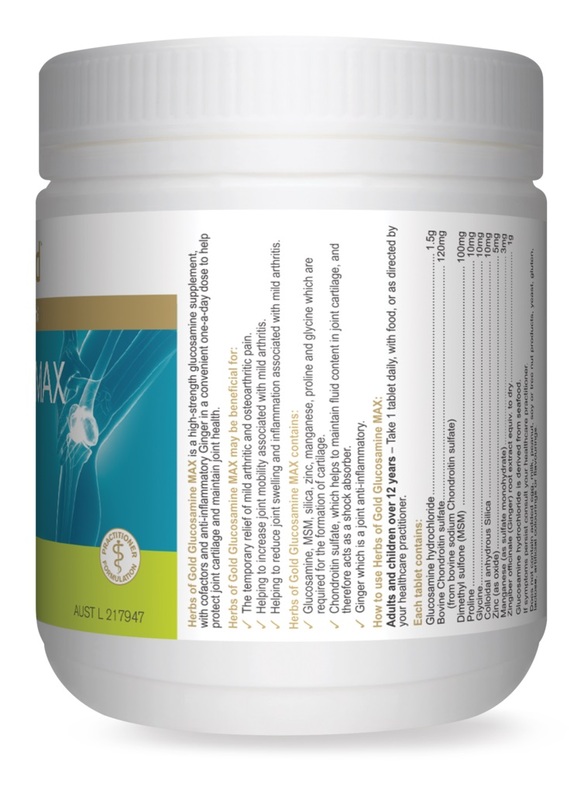 Search other Arthritis & Joint Support products. 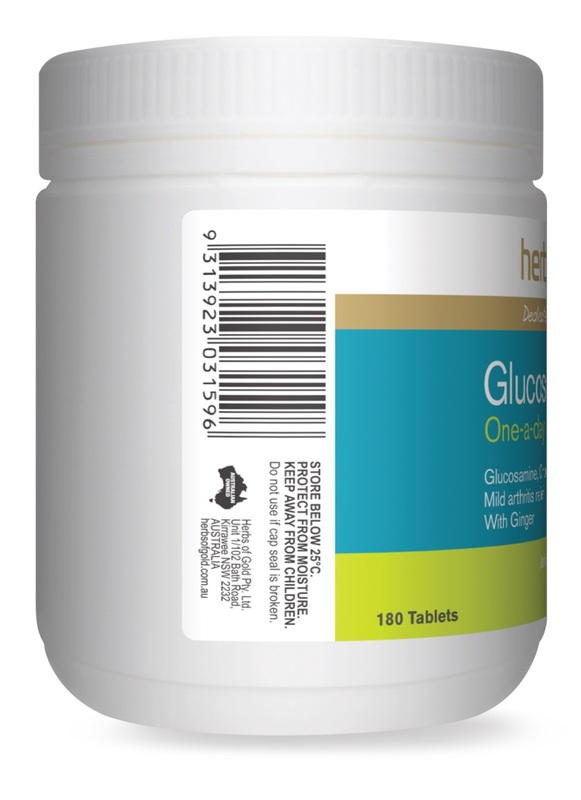 Herbs of Gold Glucosamine MAX delivers 1,500mg of glucosamine hydrochloride as well as a host of other supportive nutrients, including amino acids, minerals and even a herbal medicine. Herbs of Gold Glucosamine MAX contains proline, which is actually non-essential amino acids important for the synthesis of hydroxyproline. 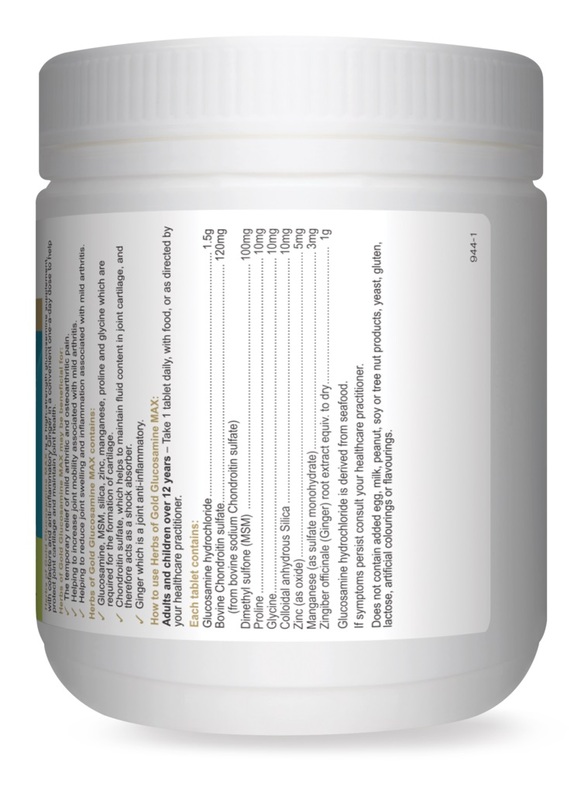 Glucosamine is naturally synthesized in the body from glutamine, and is converted to other important compounds, such as hyaluronic acid and chondroitin. These compounds assist with cartilage and soft tissue integrity. Glucosamine hydrochloride has been shown in clinical trials to reduce cumulative pain in osteoarthritis of the knee1. Furthermore, this form of glucosamine has even been shown to alleviate ocidative stress2. It has been suggested that glucosamine actually assists in the generation of new cartilage, which helps to reduce the bone on bone friction and inflammation that eventuates with the often painful condition of osteoarthritis. 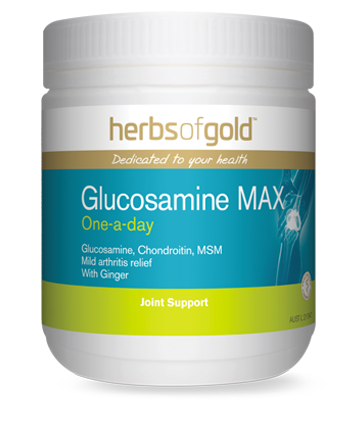 Herbs of Gold Glucosamine MAX may also be used to assist with healing during sports injuries or other soft tissue trauma. Adults - Take 1 tablet, a day with food, or as directed by your healthcare professional. Glucosamine hydrochloride is derived form seafood. If symptoms persist consult your healthcare practitioner.